The Hawaiian Islands boast some of the most diverse landscapes, climates, and ecologies in the world. On one corner of the Big Island, you can bask under the warm rays of the sun. On another corner, you can get lost beneath tropical canopies. You can even see one of the world’s most active volcanoes! 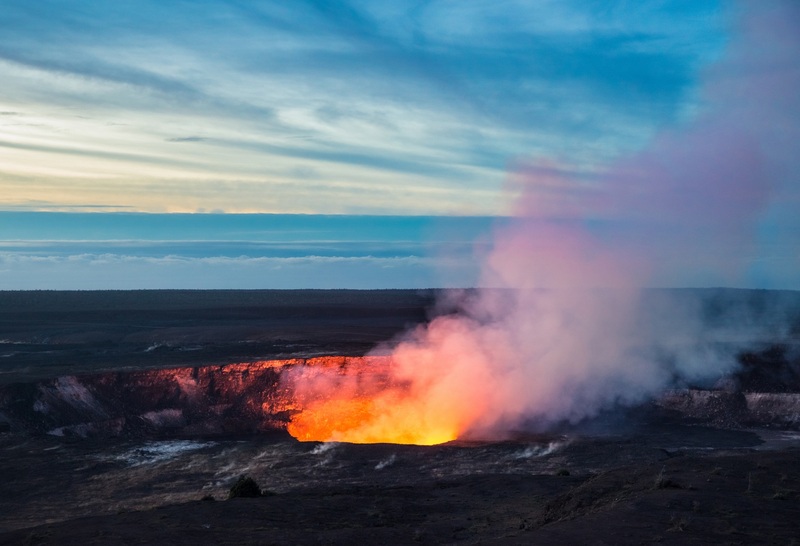 Read on to learn about some of the most fascinating Hawaii Volcanoes National Park Facts. Then, take a look at our Vacation Guide for great suggestions to include in your itinerary! In Hawaii Volcanoes National Park, you will encounter two active volcanoes. Kilauea is one of the world’s most active volcanoes. Due to recent activity, some attractions closed temporarily or remain closed. Be sure to check and see what is currently open on the park’s website. In addition to Kilauea, the park is also home to Mauna Loa, the world’s most massive shield volcano! Pele is the Hawaiian goddess of volcanoes and fire and is also known as the creator of the Hawaiian Islands. There are various mythologies and legends surrounding the goddess and her relation with Kilauea. There are multiple ways to see different attractions throughout the park. Opt for a guided volcano tour or drive through on your own. If you like the idea of embarking on an excursion through the park via car, there are two popular drives to choose from. The Crater Rim Drive Tour takes you to the Kilauea Visitor Center, Steam Vents and Sulphur Banks, the Kilauea Iki Overlook, Pu’u Pua’i Overlook, the Devastation Trail, and the Keanokako’i Crater. The Chain of Craters Road winds visitors through the park. You will hit stops such as the Lua Manu Crater, Pauahi Crater, Mauna Ulu, Kealakomo Lookout, and the Pu’u Loa Petroglyphs. Hike through otherworldly craters and along densely forested trails. See steam rising from the volcanoes feel the buoyancy of hardened volcanic rock beneath your hiking shoes. There’s truly nothing quite like seeing these natural wonders in person! Learn about the history of native Hawaiians through various archeological features. For example, the Puuloa Petroglyphs shed light on various representations of earlier settlers’ families, traditions, and beliefs. History buffs might also enjoy learning about the Keonehelelei – Story of the Footprints. You will uncover so many interesting facts about Hawaii Volcanoes National Park, Kilauea, Mauna Loa, and more during your visit! Whether you’re interested in the history, culture, or ecology of Hawaii, you will see that visiting the park makes for a great addition to any Hawaii bucket list! 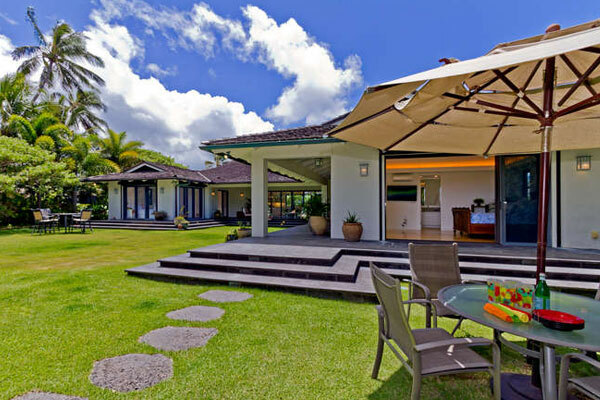 To make the most of your Big Island getaway, stay in a Private Homes Hawaii property. 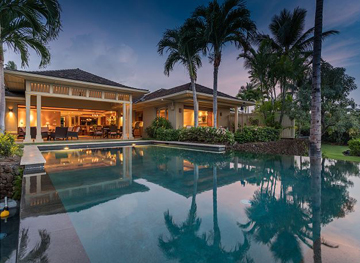 Our Puako Hylton home sits on the sunny Kohala Coast and offers a luxurious retreat. 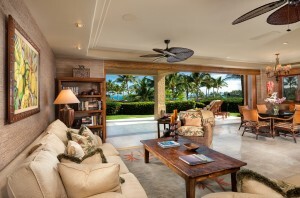 Beautiful furnishings and stylish, tropical decor set the scene for an unforgettable vacation. Imagine yourself looking out over the ocean from the new saltwater pool after a long day dining at the best restaurants and exploring all the island has to offer. Start planning your dream getaway today!